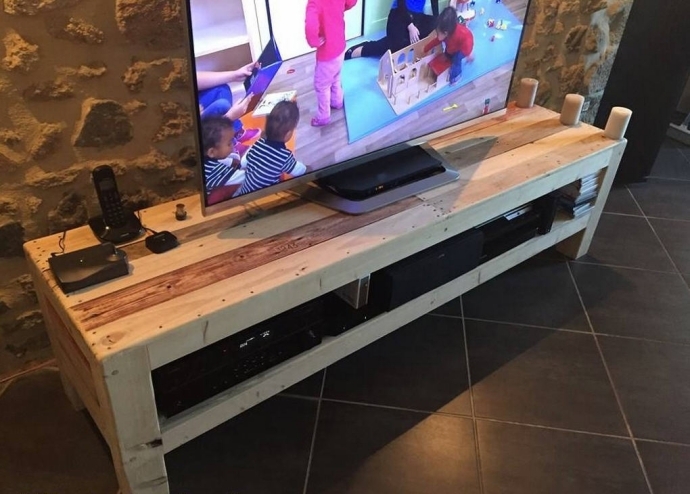 A recycled pallet wood TV stand is always a good idea to begin with for the beginners. 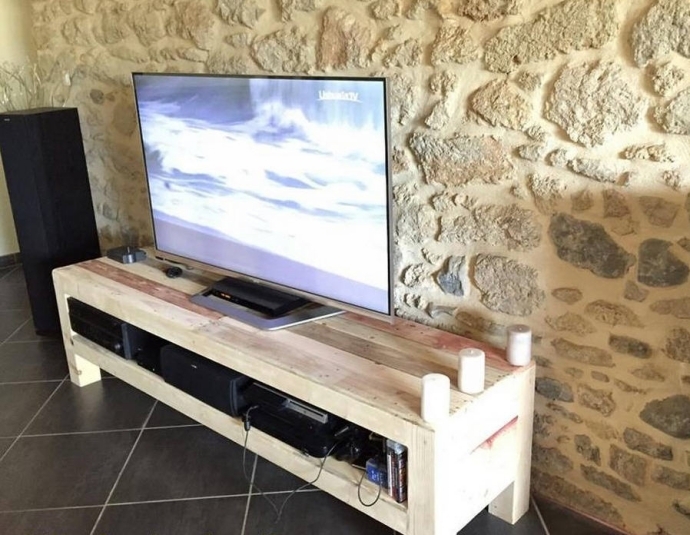 And even if you are a master pallet wood crafter still you need one for your house hold. A TV set is a delicate and expensive device, you are compelled to take best care of it, so we buy some expensive TV stands from the market to ensure the security and safety of our set. But the wooden pallet has made it all so damn easy, this is just like we are well equipped with all the pre requisites, and we just have to move forward with our creativity and inspiration. 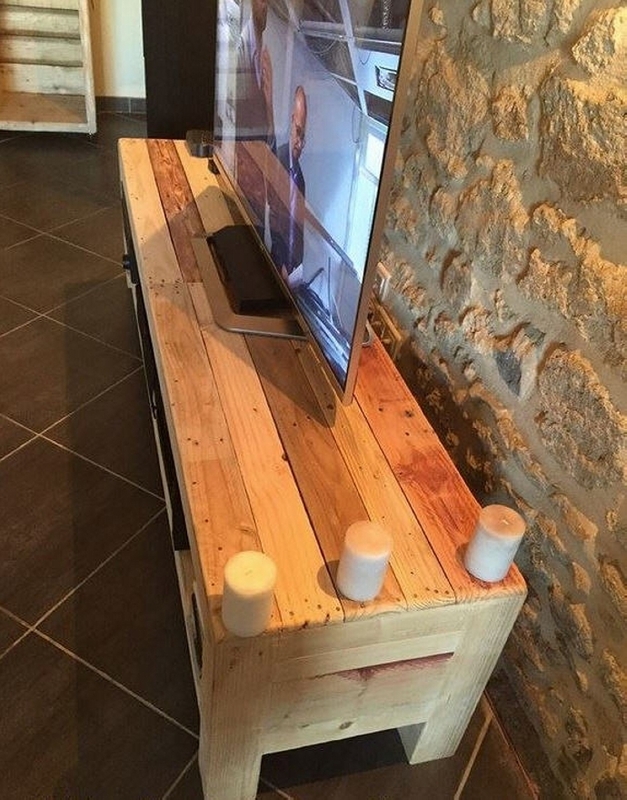 A TV stand could carry various designs and shapes. You select one keeping in view your available space, the size of your TV set, and also the basic theme of your room interior because you just can’t put inside a huge TV table in a tiny room. All the perspectives are important to think about while planning your home or mere room arrangement. So we make such article which could widely be accepted and adjusted. But you can still make the necessary amendments in the design and size as well according to your possibilities. 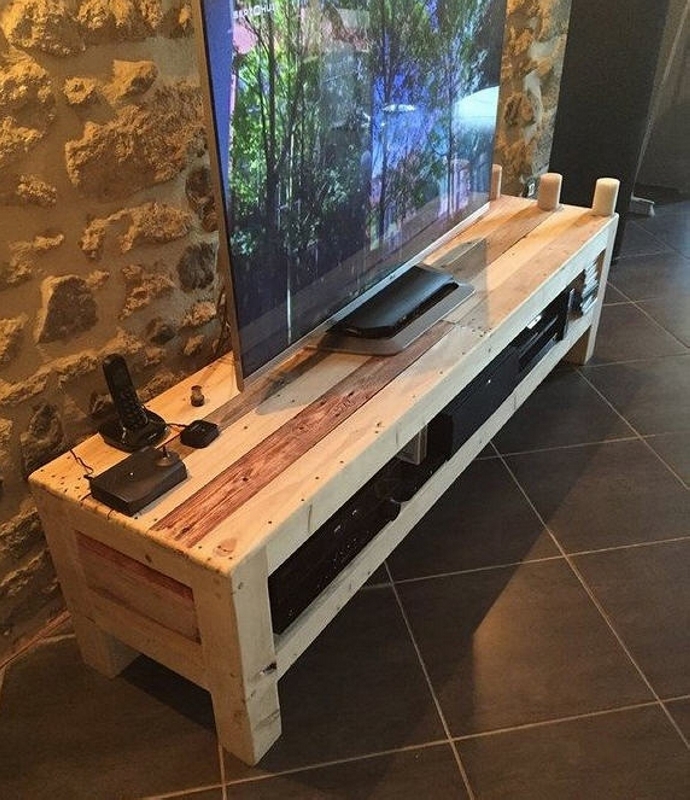 Like here we have recycled a huge and long enough TV stand all made with the rustic wood pallet. We just decided to leave it unstained just to give you guys a better idea of the stand. We have spared some ample space right below the table, which is obviously an additional incentive. Put inside some other accessories related to TV set. Its squared appearance is a style statement, the corners are well rounded off, and the whole texture is very well sanded. Make the changes according to your available space and do something positive for your best buddy, your TV set.